The wait is over! 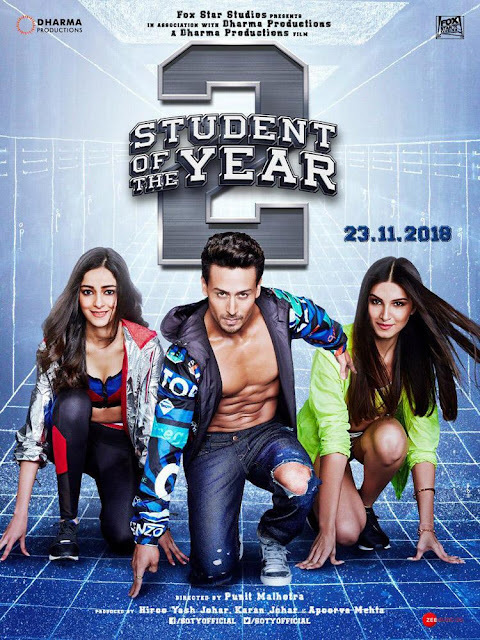 The first look, poster of Student of The Year 2 has released now. This is an upcoming film directed by Punit Malhotra. This is the sequel to the 2012 film, Student of the Year. Tiger Shroff and Tara Sutaria, Ananya Panday are playing the main lead role. Tara Sutaria, Ananya Panday both are debuting to Bollywood industry by this film. Ananya Pandey daughter of the veteran actor, Chunky Pandey. She is very beautiful and talented actress. Karan Johar revealed her first look on Twitter and said, "And finally! Presenting ANANYA - joining the class of 2018 at Saint Teresa! Welcome to the movies! The film made under Karan's Dharma Productions, the film will come out on 11th November 2018. Here we share the first look, the poster of this film as well as the first look of Ananya Panday.